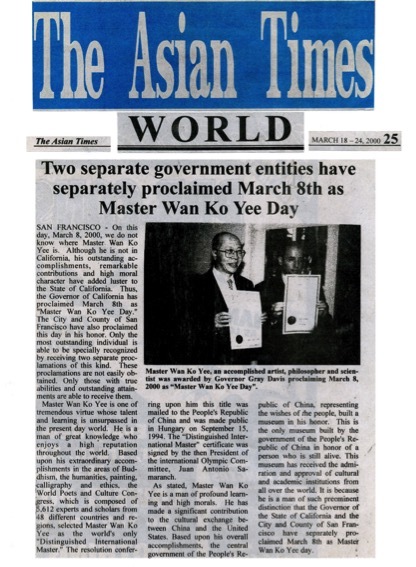 On February 5-27, 2006, the Master Wan Ko Yee (H.H. 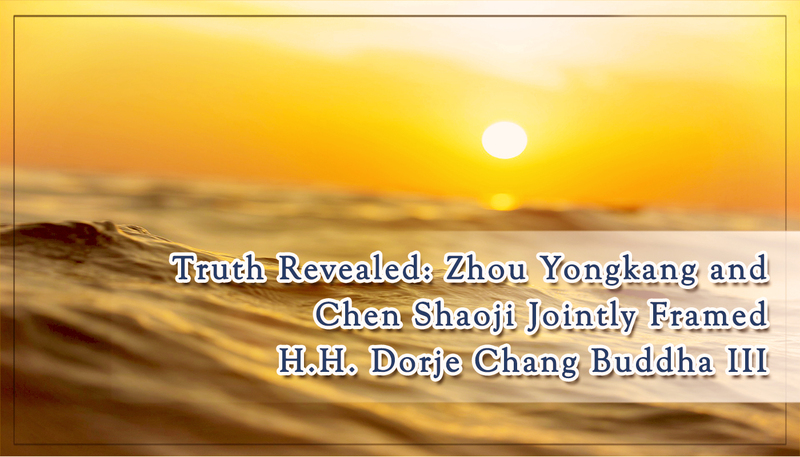 Dorje Chang Buddha III) International Cultural Institute hold an exhibition of the World-Class Treasures created by Master Wan Ko Yee (Dharma King Yangwo Yisinubu Wan Ko). Regarded by all as enchanting and precious treasures from another dimension, this art appears in the world for the first time. The Organization of American States, which represents 34 countries, sponsored a special exhibition of Master Wan Ko Yee’s work for ambassadors and dignitaries. Now you can see this mysterious and wondrous art. It is praised as “Treasures from Heaven.” This exhibit displays superb, extraordinary art, profound knowledge, holy virtue and more from another realm. Admission is free. A rare exhibit of Master Wan Ko Yee‘s (H.H. Dorje Chang Buddha III) world-class art, literary accomplishments, and innovations hold from February 5 through 27, 2006 at 1822 Eddy Street, San Francisco, California. The exhibition showcases more than 200 pieces of the Master’s artwork in 18 categories. This represents only a small portion of Master Wan Ko Yee‘s (H.H. Dorje Chang Buddha III) outstanding accomplishments. The exhibition features Yun sculptures, Chinese paintings, western paintings, art frames, jade plates, three-dimensional pictures, calligraphy, poetry, and literature, along with the latest application of the master’s designs in ceramic, enamel, glass, and other mediums for use in beautifying the domestic and work environment. These tiles, wall hangings, transparent panels, etc. are unbelievably beautiful and highly original, surpassing the elegance of materials found in the Louvre Museum in Paris or the luxury hotels of Las Vegas. These are suitable for the most elegant homes, up-scale restaurants, fashionable hotels, sophisticated offices, or other places to create a noble and enhanced quality of life. Master Yee wants to make his enlightened view of a world of incredible beauty available to everyone. Master Wan Ko Yee (H.H. 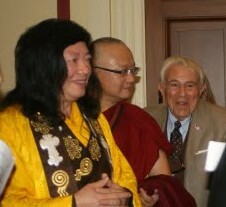 Dorje Chang BuddhaIII), who currently resides in the United States, is known as Dharma King Yangwo Yisinubu Wan Ko (H.H. Dorje Chang Buddha III). Over 2,000 Buddhist leaders from thirty three countries and 416 organizations, recognized Master Yee as a Dharma King and “Authentic Buddhism Master." it is difficult to find another person in this world who has succeeded in gaining the high state of virtue and realization that Master Yee has attained. It is precisely due to his unfathomable Buddha-dharma realization that the Master has acquired erudition and penetrating understanding of the laws that govern the growth and change of everything in the universe. He has thereby attained the highest achievements in various fields, such as religion, literature, philosophy, painting, calligraphy, sculpture, and application of color. No one in history can match such achievements. The organization of American States, which represents 34 countries, sponsored a special exhibition featuring part of Master Wan Ko Yee’s work for ambassadors and dignitaries. The artwork was recognized by all as a precious treasure from heaven. The Master is also the only artist awarded the position of “Fellow" by the Royal Academy of Arts in the London in the Academy’s over two hundred year history. As you can see, this is not an ordinary artist, nor is this an ordinary exhibition.